Price: $2 Entrance Fee after 3:00 pm; $15 all-day Midway Rides on Friday; $20 all-day Midway Rides Saturday and Sunday. 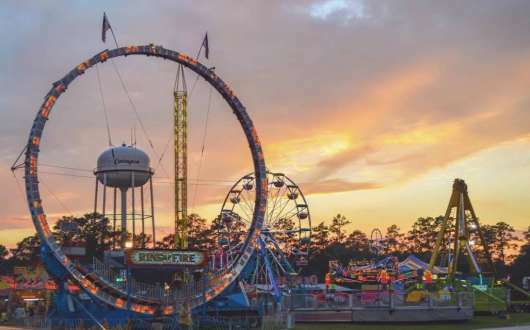 The St. Tammany Parish Fair Association celebrates St. Tammany culture October 1-6, 2019! 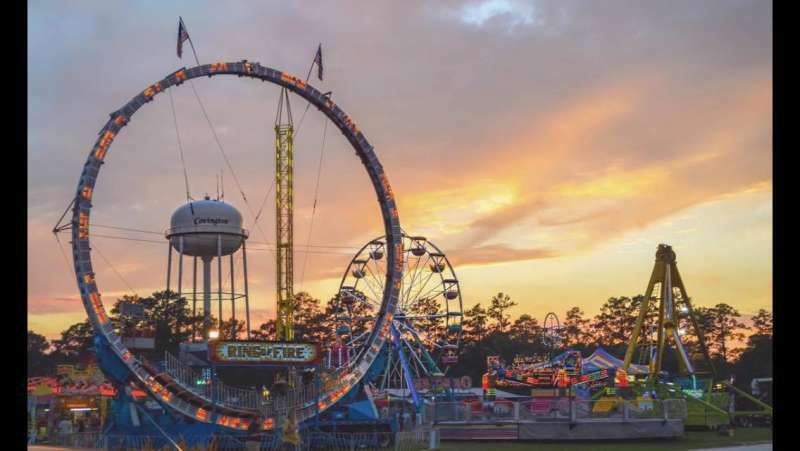 Held each year during the first full weekend of October, the fair is a full week of agricultural and horticultural exhibits, music, food, talent showcases, a rodeo, Fair Queen, Rodeo Queen and Princess Pageants, and of course, the ever-popular Midway rides. The fair is open through the week for exhibitor competitions, and opens to the general public on Friday with a parade through downtown Covington at 10:00 am. The parade starts on Jefferson Avenue and travels to Boston and up Columbia Street, concluding at the fairgrounds at 1304 N. Columbia St. to opening ceremonies on the Main Stage at 11:00 am. The fair continues with open exhibits, performances, amusements and rides Friday, Saturday and Sunday, weather permitting. Exhibits remain open until 9 pm. The St. Tammany Parish Fair promotes community economic development, showcases local culture, and nurtures community responsibility and pride. 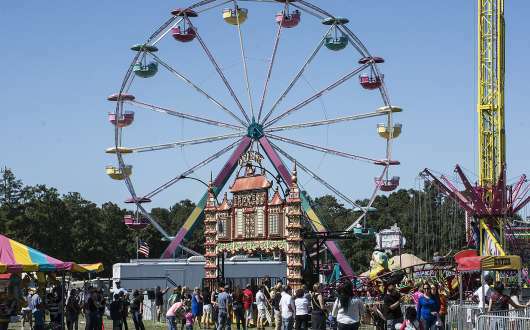 A complete schedule of exhibitors' entry deadlines and public events is available on the St. Tammany Parish Fair website at http://sttammanyparishfair.info. DIRECTIONS: From I-12, take US 190 (exit 63-B) north toward Covington. 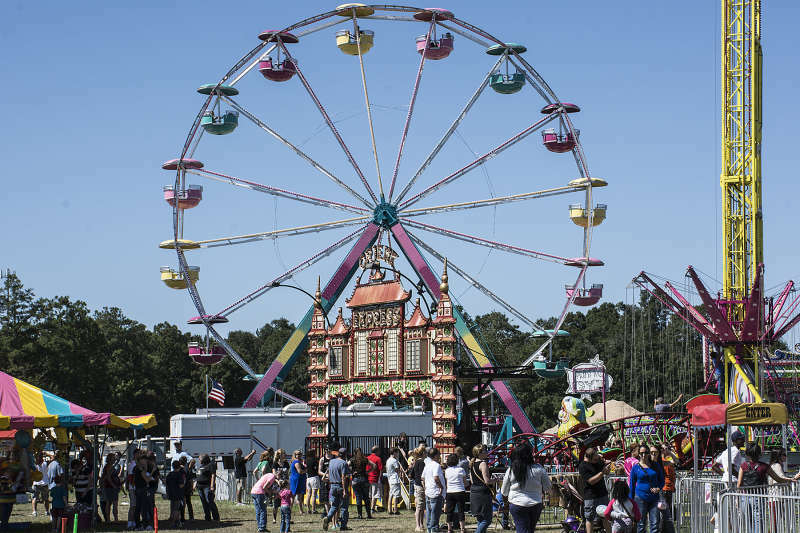 Follow US-190/Collins Blvd., fairgrounds are on the west side of the highway between 33rd Ave. and Magee St.
$2 Entrance Fee after 3:00 pm; $15 all-day Midway Rides on Friday; $20 all-day Midway Rides Saturday and Sunday.